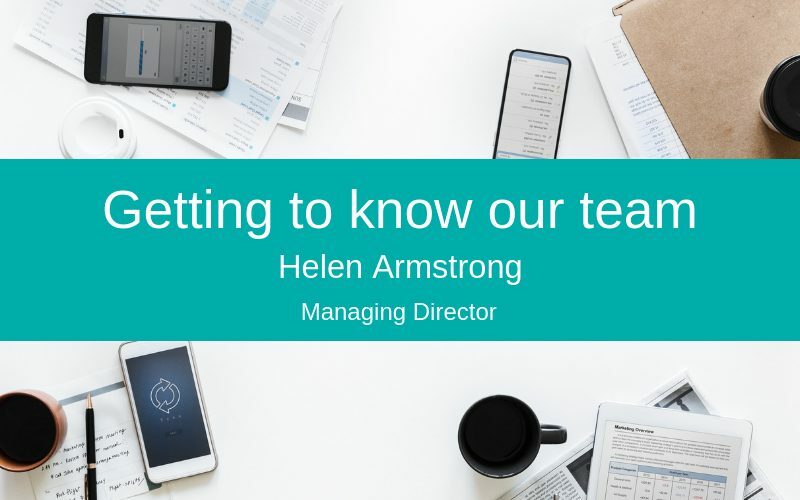 If you’ve been reading our most recent blog posts, you’ll have noticed that we’re introducing you to various members of our team. This is our way of showcasing their contribution to our success. 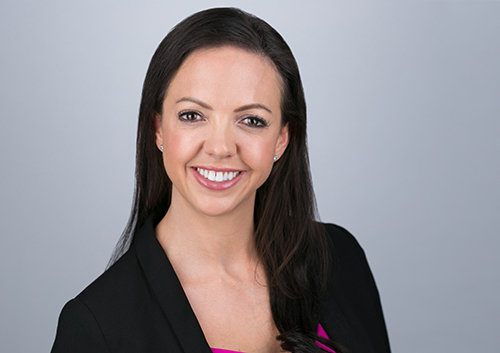 This week, it’s time to shine a spotlight on Helen Armstrong, our Managing Director. How did you set up Silver Cloud HR? This year, it’s the tenth anniversary for Silver Cloud HR. This is something I’m immensely proud of. When I first began, I was working by myself and the company name was HRmstrong Consulting Ltd. The name Silver Cloud HR came about in 2016 when my brother-in-law suggested it, and since rebranding, we haven’t looked back! Why did you decide to join the HR profession? You may be surprised to know that it wasn’t my first choice. I originally wanted to be an Educational Psychologist. Although I was always interested in HR, I almost ‘fell’ into the role – you could say that HR found me. I had just got a job working in recruitment for Suffolk County Council. Within my first week, I was seconded to a joint venture called CSD, with BT who were setting up a shared service center. Within this role, I worked in several different positions including Recruitment Manager, Process Manager, and Change Manager. All of which gave me an incredibly strong understanding of the value of HR. I eventually decided that it was time to move on and left to work in London. At the risk of sounding like a cliché, the rest is history! Can you explain what a typical day is like for you? As you can imagine, running my own business is incredibly demanding but it’s something that I thrive on. I like to start my day with an early morning training session at my local gym. I find that regular exercise really helps to clear my mind and keep me focused for the day ahead. During the week, I generally spend at least two days in London visiting clients but each day I am in regular contact with both Claire, our Head of Operations, and Toby our Head of Customer Engagement. I then spend a few hours writing proposals and responding to client requests. I also spend time keeping up to date with the latest technological changes and writing content for speaking opportunities. Away from the office, I’m a Chair of Governors for a local primary school, and I also mentor two ladies for confidence and career support. It’s a busy life, but I wouldn’t have it any other way! What does your role at Silver Cloud HR involve? I’m incredibly lucky to have a fantastic team, which frees me up to set out our company strategy. As a rapidly growing company working in a fast-paced sector, it’s important we remain agile and responsive to our clients’ needs. It’s my responsibility to ensure that everyone is working to the same goals and delivering the same high-quality service that we’re known for. Despite our growth and how busy we are, I still ensure that I’m always available to attend most client meetings. I think that this is really important, and it’s lovely to have built long-term relationships with clients. My most important role is keeping a close eye on the figures. Over the last ten years, we’ve grown 100% year-on-year which is a remarkable achievement but it’s important to never get complacent. We’re an incredibly ambitious company, and I still find it very exciting to see how technology can make such a difference to businesses. It’s always a fantastic feeling when we finalise new client contracts. It can often take months of work to get to that point, so it’s always a cause for celebration. I also love seeing how far we’ve come, and how we’ve evolved. Sometimes taking a few moments to look back on where we started can be incredibly humbling. What is the most exciting tech-related advancement that you’ve seen over the past 10 years? I believe that self-service was a complete game changer for HR teams. It made life so much easier for everyone. Analytical software is also incredibly exciting. We work hard to help clients digitise HR, and I can’t wait to see the end of their journey when they can start to extract some really exciting data. Looking ahead, I believe that Robotic Process Automation (RPA) could be the next big thing. HR software offers self-service and great reporting tools, so it’s now important that we learn how we can automate all the processes that run alongside it. RPA has been used in many other sectors, it’s now HR’s turn. How do I use technology in my everyday life? My husband works in the mobile industry, so between us, we are incredibly tech-savvy. Our house is very much a ‘smart-home’, from our TVs to our doorbells and our CCTV – it’s all linked. I’m also a big fan of the Amazon Echo – between myself and my children, we use Alexa for everything! As a busy family, we make use of a shared Google Calendar to organise us all. It really is crazy to think how advanced consumer technology is these days – I can’t remember what life was like before having these on hand.